Hi all! 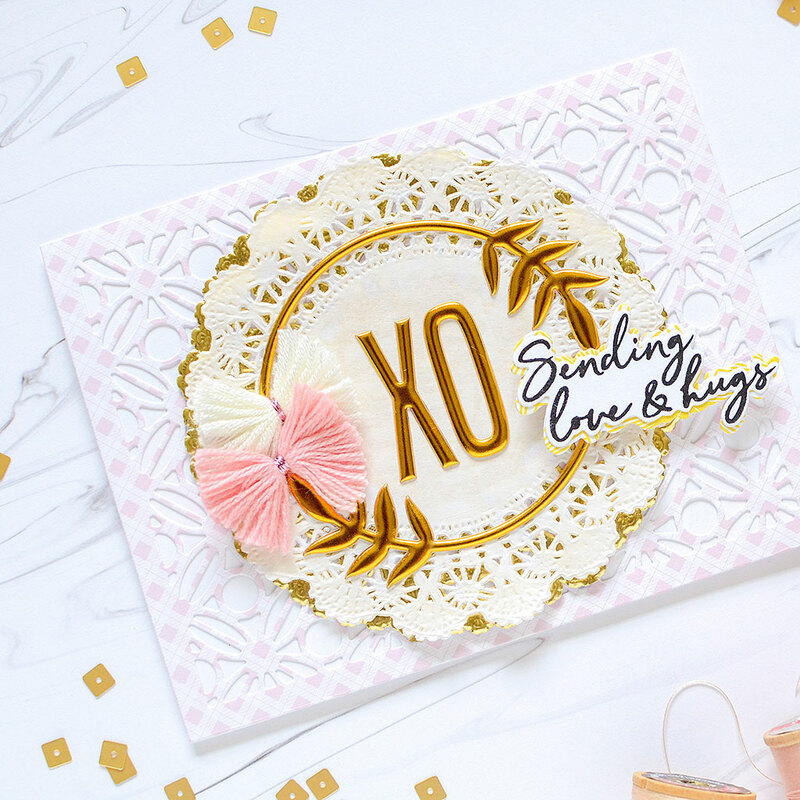 Pinkfresh Studio is releasing some awesome new stamps and dies this month so naturally, we're having a Blog Hop to celebrate and show it all to you! If you're following the hop, you should have arrived from the blog of Nina-Marie Tripani, who no doubt had something wonderful to share! 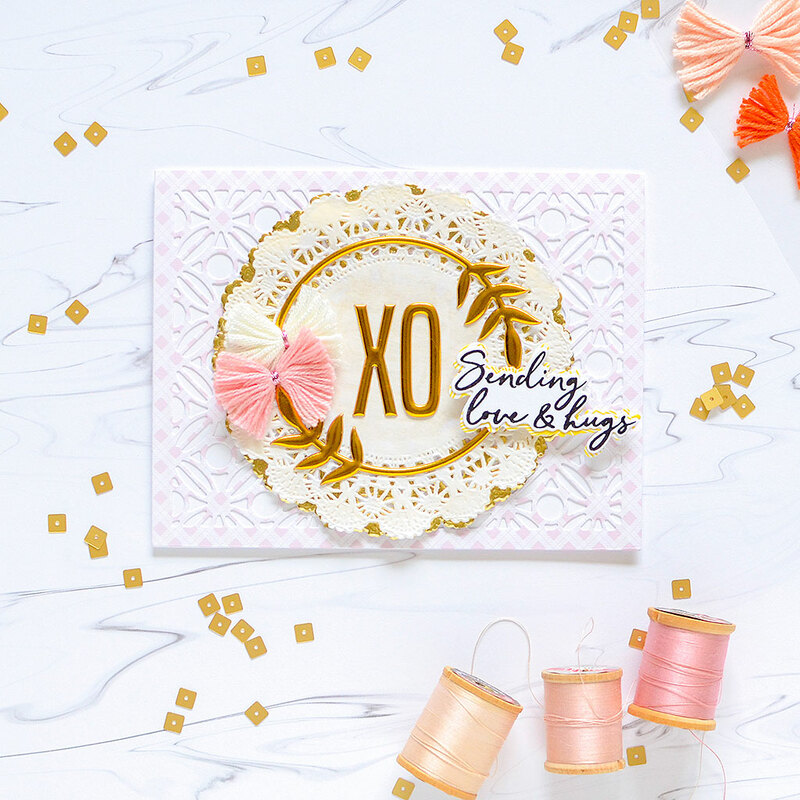 Be sure to read through all the way to the end of my blog because I have a $25 Pinkfresh Studio gift card to give away AND details on how you can win the ENTIRE July stamp & die release! And there's a special offer from the PF store, too! I'm showcasing the Geo Leaf Background die and for both cards I made today, I paired it with pretty patterned paper from the Simple & Sweet collection. The die will cover the full panel of the front of an A2 card (4.25" x 5.5") so it's a nice, convenient size! 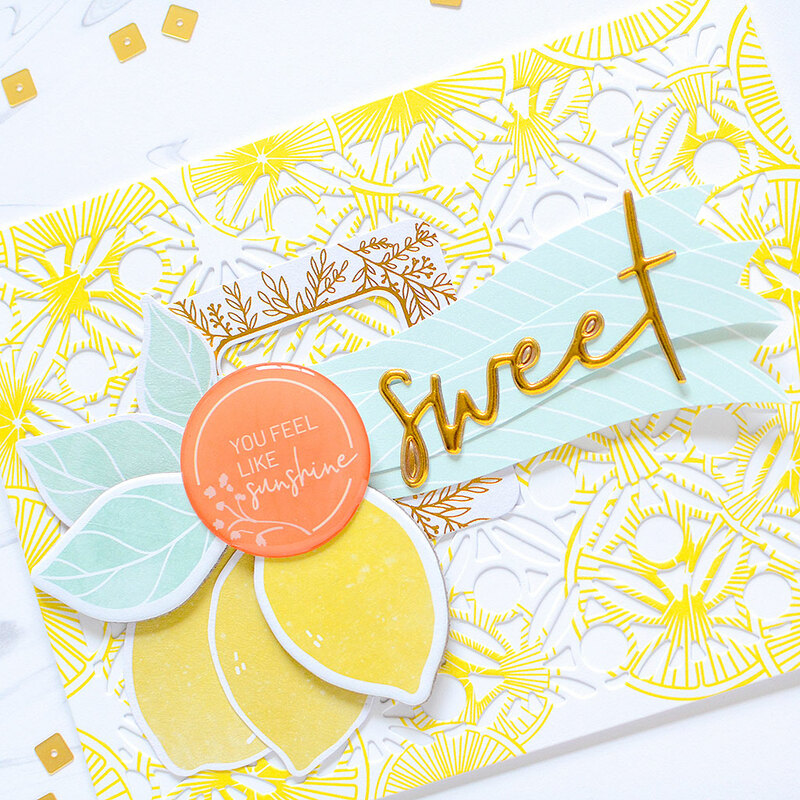 I've used the Geo Leaf Background die on my first card with some of the pretties from Simple & Sweet, like the gorgeous 'Good Things' paper featuring the lemon slices. It's such a pretty pattern and when I cut out the die pattern, it created this amazing graphic design. I added some die cut and chipboard lemons, as well as an orange enamel sticker with the sweet sentiment "you feel like sunshine." I also used the solid line banner stamp from the stamp set A Day In the City, and cut it out of minty 'Good Company' paper (reverse side) 3 times to create a larger banner trio. I cut inside the stamped lines, put them all together, and placed the "sweet" gold puffy sticker on top of them. All that yellow with the pops of mint, gold, and orange is so perfect for summer! The second card is simpler; I chose 'Simplicity' paper (reverse side) from the 6x6 paper pad and it has a more uniform design so it's softer and more subtle than the first card. 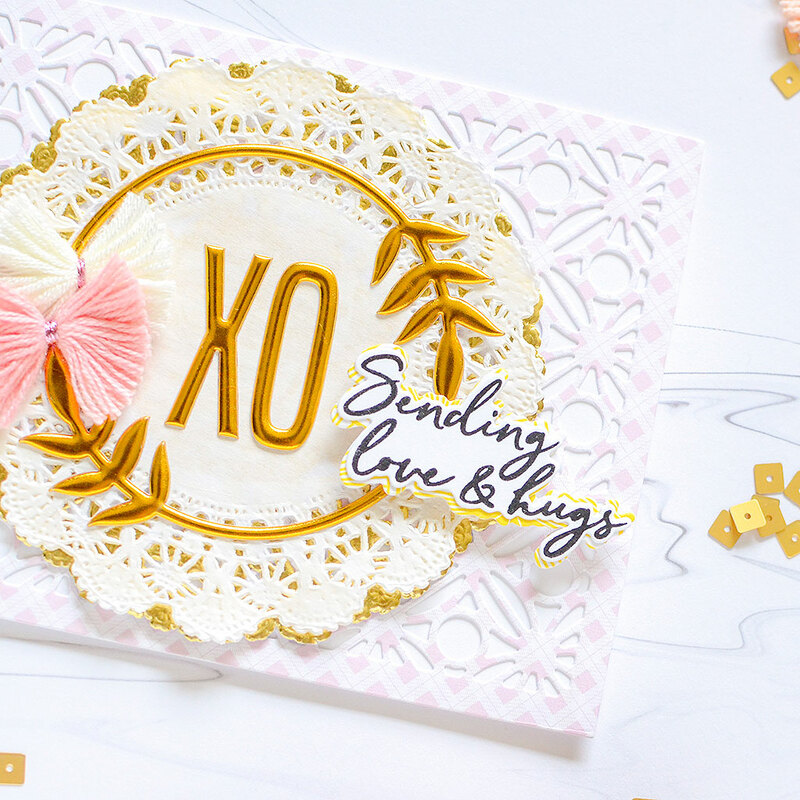 I added some of my own doilies in white and gold, and then placed the rounded leafy gold puffy sticker frames in the center of them, with the X and O.
I stamped and die cut "sending love & hugs" from the new Floral Frame stamp and die sets. I die cut 2 extra (without the stamp) from the 'Good Things' paper to layer behind it and to give it dimension. When I adhered it to my card, I used 3-D foam stickers to pop it out from the paper. Two tassel bows from the Be You collection balance out the card design. One reason I love using the background dies with the patterned papers is that they add a gorgeous texture to my cards. 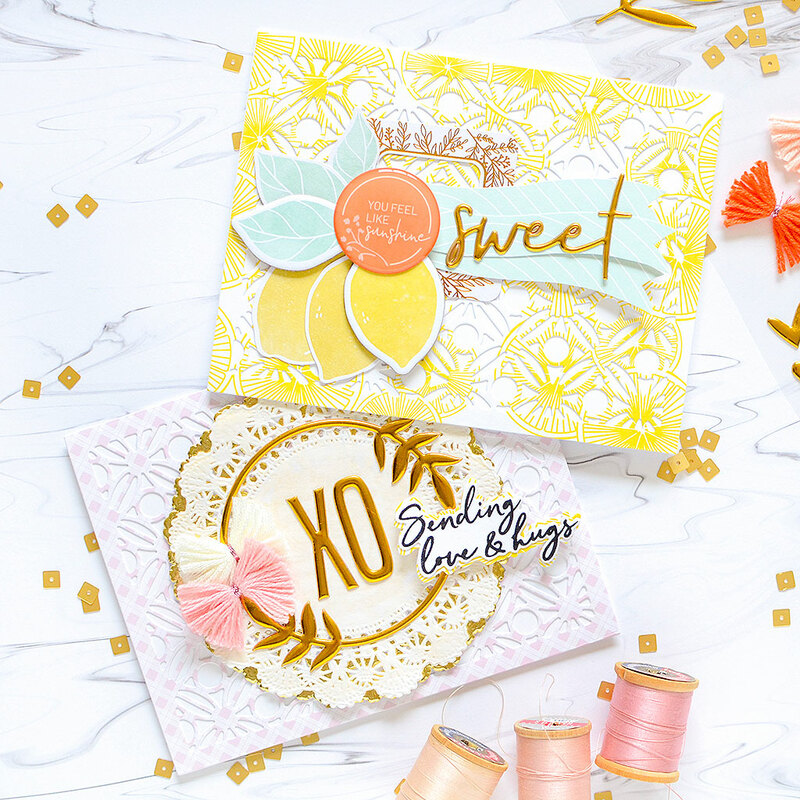 If you know anything about me, you know I frequently add tulle or lace to most of my projects and honestly, I tried doing that to both of these cards, but they overwhelmed them and it was 'too much.' So I'm really excited to have found another way to add texture to my projects with the background dies! And for this release, there are 4! In addition to the Geo Leaf, there are also the Geo Floral, Fancy Floral 1, and Fancy Floral 2 patterns. Be sure to check them all out! Thanks for stopping by my blog during the hop today! You're on to Rubeena Ianigro next, and that girl is NO Joke! She's so awesome, so don't miss her post! Make sure you leave comments along the way to be eligible for the prize and meet the whole Cards Team (plus a few special guests). If you get lost, just make your way back here or to the Pinkfresh blog for full details! One other thing I want to mention is that PF is offering free/discounted shipping in the shop from July 9th-July13th on orders $50+. You must use the code FREESHIPWITH50. Shipping is free in the USA, and $5.50 off for International friends. That should do it! Have an awesome Monday and I'll see you again soon! Cute cards. Love your distinctive style. Your cards are special, so bright and shiny. Thank you for sharing these inspirations! The cards are so beautiful, delight to look at! Loved them! Thank you so much for inspiring and for the opportunity to win! 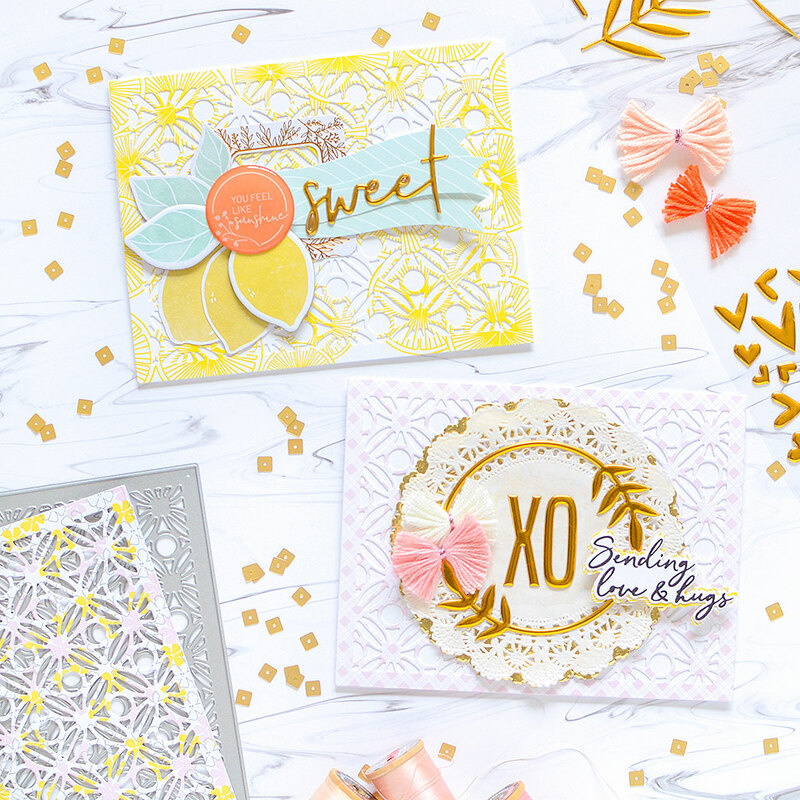 Super sweet and BEAUTIFUL cards! Oh my... this hop is incredible... every new blog I hop to blows my mind all over again. These cards are divine! I love the lemony yellow and the lacy backgrounds. And your layering is so beautiful! Wow. I love them both, but that orange, yellow, and mint card is divine! These are so lovely and sweet! Thanks for showing off those pretty papers!! So pretty! Those background dies are awesome! Adorable! I really love the background dies! So much fun! Wow! Amazing inspiration from a fabulous release! Really love the way you have created gorgeous backgrounds with the new dies! Absolutely beautiful! Love the 2nd card because it's just so girly, I guess. Love the doilies. Love this release! There are so many awesome products; the BG plates are my favorites. Love your cards they are gorgeous !!!! Love these. That die is fantastic! This is such a great release. Thanks for the inspiration! Love your cards, so beautiful. This is a super release and so enjoying all the inspiration. The bright layers are so fun. Your cards are lovely! Beautiful cards! 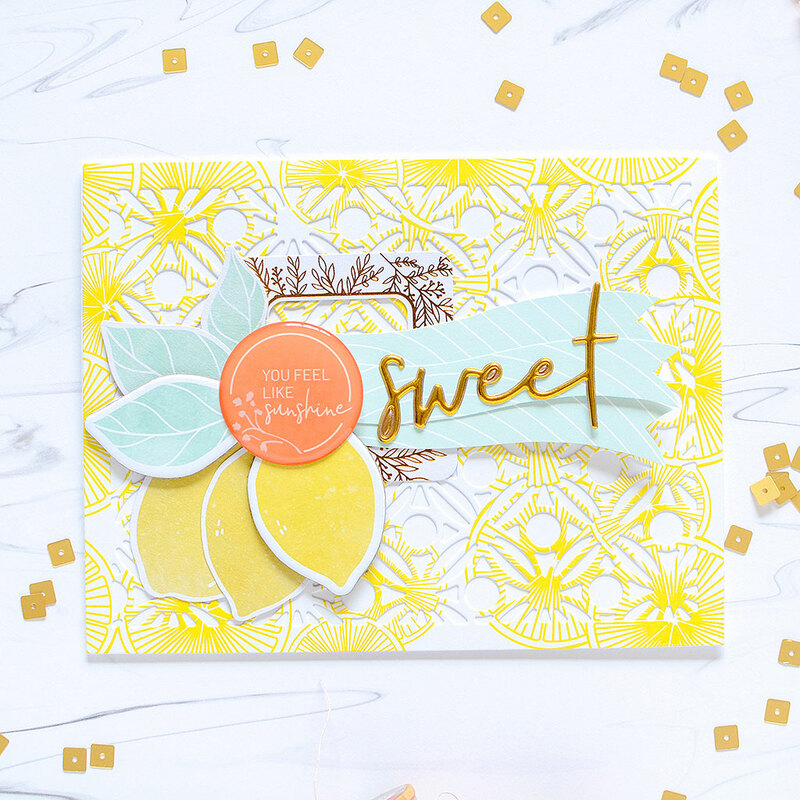 Love the gorgeous die you used and your pretty color combos! Lovely cards Rebecca! The colors are so soft and fresh. Love the die. Your card designs are beautiful. Gorgeous cards!! Love how you used the coverplates!! These cards are so whimsical and sweet! Love them! 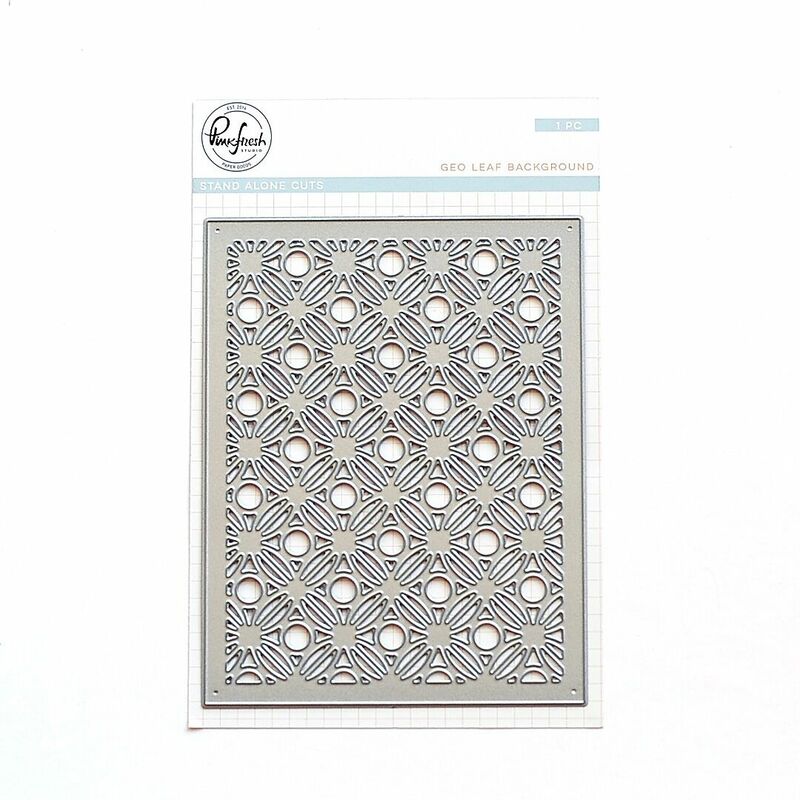 I really like your idea of using patterned paper to cut out that background cover die. That was so pretty! Thank you for sharing. Such pretty cards! I love these cards. Very eye catching! Fantastic cards! So very fresh and elegant but also with a touch of whimsy - gorgeous! 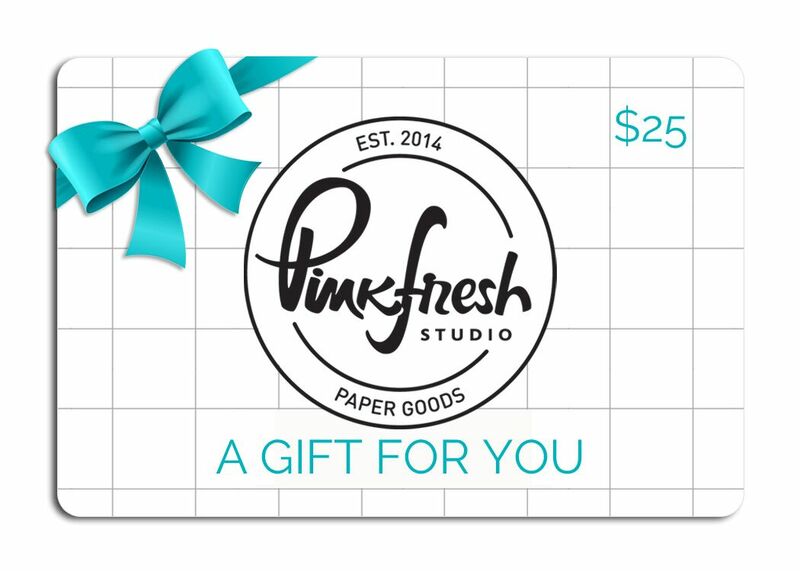 Pinkfresh Studio is a company new to me and I am so glad you highlighted it because I love what I see. 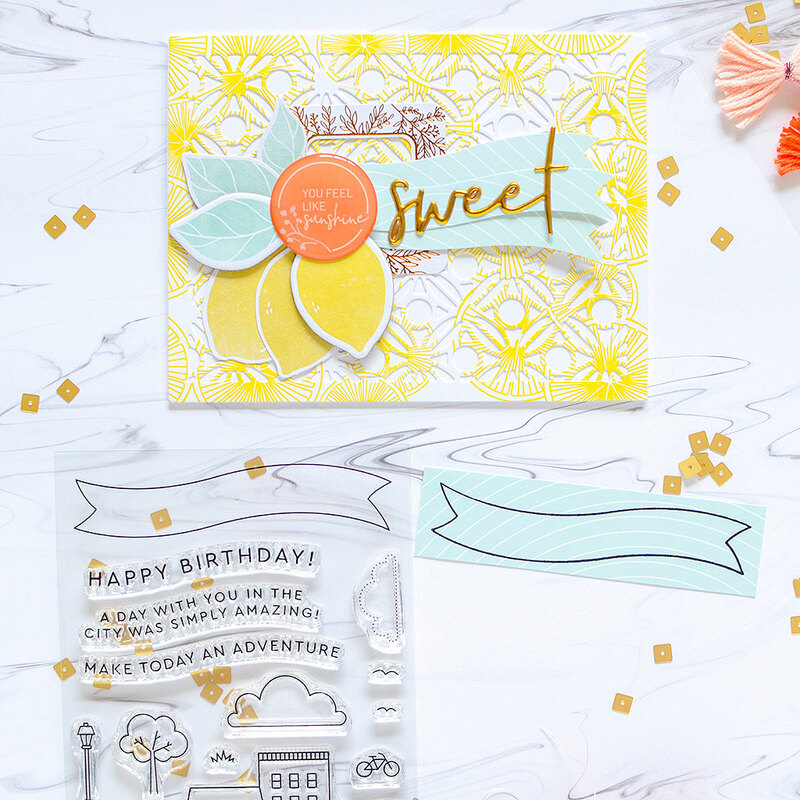 I just LOVE how you cut that background die out of the yellow and white patterned paper... so creative! I wouldn't have ever thought to cut it out of patterned paper to give it that subtle detail. SO unique and creative - thank you for sharing your beautiful cards with us! Beautiful cards. I love the background die. very pretty way to show off those background dies! The background die is so special cut from the printed paper. I love Pinkfresh studio papers and what a great way to use them. The cards are beautiful! Both cards are fabulous, but I really love the lemons! It's just so bright and fresh. Great work! I love that you used the Geo Leaf Background Die with patterned paper. It's just beautiful! Both cards are fabulous, but I really want to check out their papers! How fun to use the leaf die with the pretty patterned papers. And both cards look so different! Those lemons are just awesome. So pretty!! Love the layering and gold/yellow combo! Rebecca, I ALWAYS love your beautiful projects! Such cheerful cards! The Geo Leaf dies remind me of lace. I love your creativity! Both cards have really inspired me to use different this vs from my stash. Thanks! These colors are so refreshing. Perfect for summer! Wow! I really love this card! The colors are so fresh and bright, and the idea is just super cute! Thanks for sharing this fresh idea! I got to your blog and all I can do is smile! How bright and cheerful! Love this for summer! GORGEOUS cards! The colors are FANTASTIC too! Using the pretty scrapbook paper with that AMAZING background die cut is pure AWESOME!! I love this background die!! Your cards are beautiful!! Cute and sweet. I like the backgrounds and the tassel bows. You’ve made an absolutely lovely pair of cards !! Love them both !! Live the bright sunniness of the gold and yellow in the cards. I just love them.